BULAWAYO City Council (BCC) has threatened to disconnect water supplies to residents whose accounts are in arrears despite council resolution days before last month’s elections not to do so. Councillors last month resolved that the local authority should not disconnect water supplies to owing residents until September. However, the local authority on Friday wrote warning letters to some residents informing them of imminent water disconnections. The threat raises fears of the outbreak of diseases such as typhoid which is ravaging Gweru and cholera that claimed some lives in Chegutu in January and February. “Please be advised that according to our records your account is in arrears. If no payment is made, water supplies will be disconnected after 24 hours,” reads a notice issued to some of the residents by BCC. 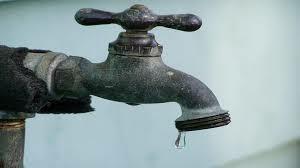 In an interview yesterday, Bulawayo Town Clerk Mr Christopher Dube said water disconnection threats are meant to encourage residents to pay their bills. “This is a routine procedure but we’re not just issuing the notices to everyone but to those not paying reminding them of their obligations. We are not bothering those who approach council to make payment plans,” said Mr Dube. He said revenue collection hit rock bottom during the election period as most residents were not paying their rates. Mr Dube blamed political parties for politicising service delivery saying it contributed to low revenue collections. “I’m hoping the situation improves because collection of rates was very bad during the election season. We had difficulties fulfilling our obligations. We want residents to pay their bills so that we can offer effective services,” said Mr Dube. He said the council is owed more than $200 million by its clients with residents’ debt standing at over $90 million. Bulawayo Progressive Residents Association (BPRA) programmes manager Mr Emmanuel Ndlovu said disconnecting water supplies will not encourage residents to pay. “We believe council should implement the debt recovery method which it had introduced back then, instead of this cat and mouse system which is not working. It will make matters worse because we know that residents are not deliberately avoiding paying rates. This is due to the economic situation,” said Mr Ndlovu. He blamed the 2013 cancellation of debts as another reason that could have led to residents not paying their bills during the election period.